The Canadian Centre for Architecture (CCA) and the Daniels Faculty present a public screening of the Islands and Villages documentary film series on Friday, November 9 from 6:30 to 8:30pm in the Main Hall of the Daniels Faculty (1 Spadina Crescent). 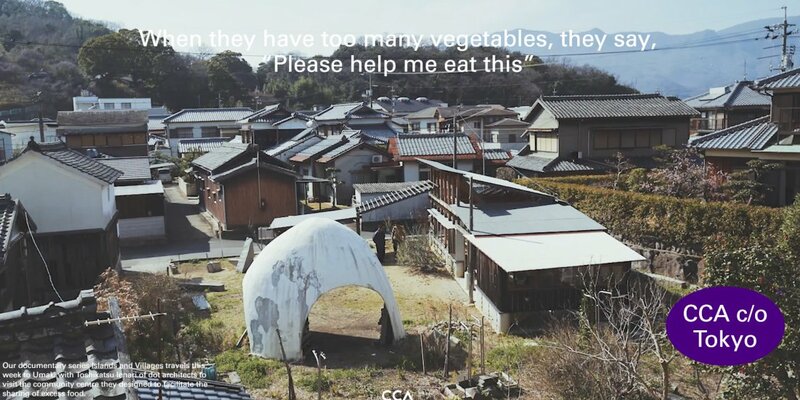 Introduced by CCA c/o Tokyo Curator Kayoko Ota, the films explore the transformation of architecture in rural Japan, featuring Atelier Bow-Wow, Kazuyo Sejima, Toyo Ito, dot architects, and Hajime Ishikawa. The event will begin with a Curator’s Talk by CCA c/o Tokyo Curator Kayoko Ota, followed by the film screening and concluding with a Q&A with Kayoka Ota and Mauricio Quiros Pacheco, Assistant Professor at our Daniels faculty and former Researcher for the Office of the Director and Chief Curator at the Canadian Centre for Architecture (CCA). Also present from the CCA will be Director Mirko Zardini and Chief Curator Giovanna Borasi. CCA c/o is a series of temporary initiatives that are locally anchored, moving from city to city worldwide. They can feature independent curators, architects, journalists, photographers, and editors — or other interesting figures encountered along the way. Over the course of 2018 and 2019, the CCA is working with Kayoko Ota, an architectural curator and editor based in Tokyo and commissioner of the Japanese pavilion at the 2014 Venice Biennale, to develop research and facilitate public engagement with their projects in Tokyo. To launch c/o Tokyo, the CCA commissioned a multi-part documentary on the posturban phenomenon in Japan. Traveling to small villages and tiny islands far from Tokyo, Ota explores how, in place of the conventional system of commissioning, a new kind of exchange is emerging between architects and rural communities. The documentary premiered within a larger online editorial project, What About the Provinces, focused on nonurban cities, providing the perspective of another culture to an ongoing CCA investigation.